According to dominant narratives, Cleveland— like many urban centers nationwide—is a tale of two cities. But in today’s Cleveland, disparities are no longer between the city and suburbs; they are between zip codes within our own borders. In this new reality, Old Brooklyn has positioned itself as a neighborhood for all: a place where young professionals can build their future while providing residents of limited means with a safe and affordable place to call home. To do so, Old Brooklyn Community Development Corporation (OBCDC) has prioritized community health as a marker for success in its five-year strategic plan. As presented in Creating a New Old Brooklyn – Part I, our work as a community development corporation (CDC) to foster a healthy community in Old Brooklyn has led to an operational shift from traditional neighborhood development to a deeper focus on the impact of place on our residents’ quality of life. The first step in our efforts to address the neighborhood’s conditions for health remains founded upon the input of our greatest resource – the voice of Old Brooklyn residents. The early 2018 launch of our Community Health Needs Assessment (CHNA) garnered responses from over 400 residents who provided a representative snapshot of the neighborhood. Similar to the overall adult population in Old Brooklyn, the majority of residents surveyed were Caucasian (74.4%), women (72.7%), and aged between 35-44 years old (22.6%). The leading level of educational attainment among respondents was a high school diploma or its equivalent; however, over 70% of all respondents reported some college education. Historically a blue-collar white neighborhood, Old Brooklyn is the fastest growing place for African-Americans in Cleveland and the fastest growing community in the region for Hispanics, more than doubling population size between 2000 and today (U.S. Census, NEOCANDO and research published by the Center for Population Dynamics at Cleveland State University). Understanding the new and different needs of a changing community is critical when evaluating health outcomes and disparities. OBCDC worked diligently and received 10.8% of responses from the African American population, while 6.7% were Hispanic or Latino. Old Brooklyn continues to represent diverse populations through the 16.5% of bilingual households, including the use of American Sign Language, which shows a neighborhood full of unique experiences and voices. While numerous barriers to health were identified through the CHNA, we aligned our capacity to dive deeper on six focus areas that are most prevalent, inequitable, critical, and/or relevant to the current conditions in Old Brooklyn. The areas – food access, housing injustice, greenspace equity, chronic disease, neighborhood resource access and usage, and substance use – will be addressed through various interventions while working hand-in-hand with our community health partners and residents. With the support of the Caresource Foundation, Ohio Community Development Corporation Association, and strategic leverage of resources with aforementioned partners, OBCDC will pilot, test, adapt, and grow ideas that will ultimately improve the health outcomes identified in the Health in Action: Building a Culture of Community Health in Cleveland report. The interconnected nature of a community’s health is complex; thus, the potential solutions that a community integrated solution can offer are endless. Not only is Health in Action our call of commitment to address the underlying issues in Old Brooklyn, it is also a charge to others to engage in cross-sector collaborative efforts to build a true culture of health. OBCDC hosted an inaugural, two-day summit as a platform to learn, share, and discover how community groups, health care, government, and research can co-create a future that is more healthy and equitable. The event attracted forty organizations that engaged in discussion of topics steeped in the data-driven priority areas as well as their relation to the conditions of health at the neighborhood level. Panelists including Dr. Richard Puddy of the Centers for Disease Control and Prevention, Dr. Joyce Moon-Howard of New York University, and Romi Hall of the East Bay Asian Local Development Corporation sparked reflection of the work done thus far and next steps. Our success will be determined through the evaluation of pilot interventions, such as senior-based food distribution and federal benefit registration program, community forums revolving around opioid use and education, and the development of a resident-led advisory group, utilizing a mixed methodology of both qualitative and quantitative data to further adjust and tailor approaches to the community. Additionally, success will be proven through our use of partner data and longitudinal studies related to metrics of public health. We understand that success is not merely the accomplishments of program development, but rather the results of a shift in the organization of the CDC and the methods of implementing traditional programs. Utilizing both internal and secondary community health data, OBCDC will reorient its work to ensure that initiatives are targeting the needs of the community most effectively. Post-Script: OBCDC is seeking an innovative leader with a strong commitment to urban neighborhoods and the promise of community health strategies to lead this initiative into its period of action. For more information, please visit the CDC’s opportunity page. 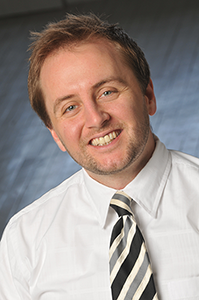 Jeffrey T. Verespej is Cleveland advocate. He is the Executive Director of Old Brooklyn Community Development Corporation, serving the largest neighborhood in Cleveland with over 30,000 residents and assets such as the Cleveland Metroparks Zoo and MetroHealth. Under his leadership, the corporation was named the 2017 CDC of the Year by the Ohio CDC Association. 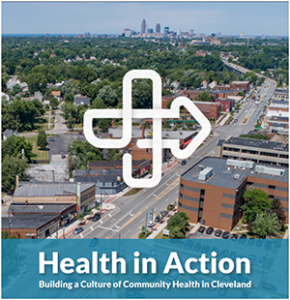 In 2016 the organization established an innovative community health strategy that blends public health and community development. It has facilitated the redevelopment of multiple historic buildings in the neighborhood, launched a successful weekly summer festival, and initiated a cross-sector education program. He supervises and manages all functions of the corporation that includes real estate and economic development, marketing and communications, housing redevelopment, community organizing, and service delivery. Prior to his hiring as the Executive Director, Mr. Verespej spent four years at Ohio City Incorporated as the Director of Operations and Advocacy. Mr. Verespej is the Past-President of the Case Western Reserve University Alumni Association (CWRU BA ’07, MBA ’11) and a former Chair of the Leadership Council for the Cleveland Leadership Center. He resides in the Edgewater neighborhood of Cleveland with his wife Sara and son Theodore. Amber Jones, MPH is the Community Health Coordinator at the Old Brooklyn Community Development Corporation. Originally from Michigan, she relocated to the Cleveland area in 2012 after earning her Bachelor of Science at the University of Michigan. 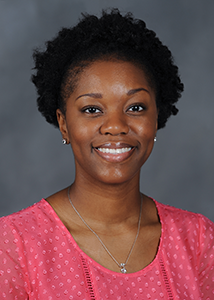 She recently graduated with her Master of Public Health from Case Western Reserve University with a focus in Health Promotion and Disease Prevention. 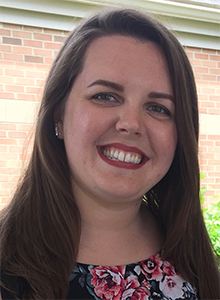 During her time at CWRU, she realized her passion for community-based health through the lens of community development and how a person’s environment affects his or her health. Through her role at Old Brooklyn CDC, she is able to utilize those skills and her interests to take action in the community.